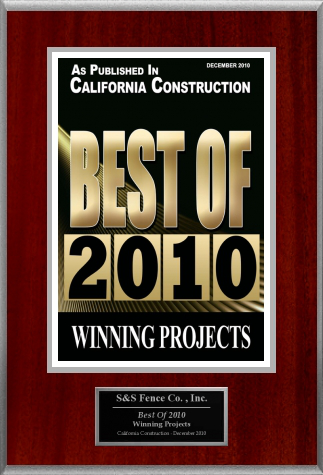 S&S Fence Company, Inc. is Sacramento’s award-winning fencing contractors company and was recognized in 2010 as one of California’s best fencing contractors in the entire state. Located at 7448 Reese Rd in South Sacramento between Florin and Gerber, S&S Fence has been one of Sacramento’s best-known and most trusted and respected fencing contractor companies for almost 3 decades. We have built and installed fences of every kind throughout the greater Sacramento – Stockton area, and chances are good that when you see a great high-quality fence, it was built and installed by S&S Fence Company. S&S Fencing Contractors Company’s specialty is building and installing chain link fence and offering a wide variety of chain link fencing products and materials. S&S Fence contractors builds and installs high quality chain link fences that are built to last. Our chain link fence products and fencing contractor services includes residential chain link fences, commercial chain link fences, vinyl coated chain link fence, slated chain link fences (also known as privacy chain link fence or privacy fence), security chain link fencing with razor wire, interior chain link fence (indoor chain link), and chain link gates and automated chain link gate systems. S&S Fencing contractors can also design and install specialty chain link fence products such as custom chain link tennis courts, chain link baseball and softball diamonds, chain link outfield fences, chain link animal cages, chain link dog kennels, chain link animal enclosures, chain link dog parks, protective pool fencing, and sports complex or athletic field fencing of every type. Haven’t found the chain link fence product you’re looking for? Give us a call and chances are we can order and install the fence you are looking for—we can even design the fence and custom build it at our large fence facility. S&S Fence contractor company installs more than chain link fences. 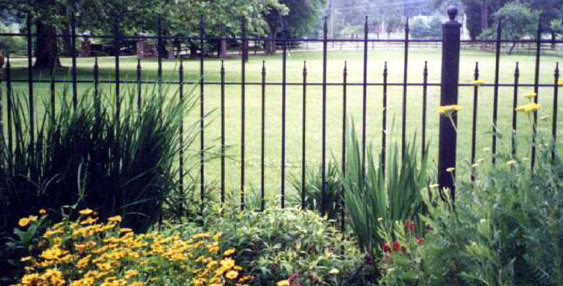 S&S Fence also specializes in building and installing Ornamental Iron Fences (Wrought Iron Fences), Ornamental Iron Gates, Redwood Fences, Vinyl Fences, Ranch Fences, Horse Fence, Field Fence, Corrals, Barbed-Wire Fence, Environmental Fence, Automatic Gate Systems, Bollards, Protective Barriers, Netting, Wire and Nylon Mesh, and Handrails. We are also a “Green” environmentally-friendly fencing contractor company. S&S Fence Company cares about the environment, and we have worked on many projects that serve to protect and preserve nature and the natural world. Gary and Stephen Siewert, the owners of S&S Fence, have built their reputations on delivering superior, high-quality fencing contractor services at a fair and reasonable price. They are now in our 3rd decade of providing among the best possible fencing contractor services to the residents and businesses the Greater Sacramento – Stockton Metropolitan Region, Northern California, and the San Francisco Bay Area. Over the years, S&S Fence Company has been the fencing contractors for some the largest, most familiar and recognizable companies in Sacramento – Stockton and the world. Our clients include such well-known companies as Apple, AT&T, Wal-Mart, Costco, the Sacramento Kings, Raley’s and many others. At S&S Fence contractors we pride ourselves on delivering high quality commercial fencing projects that are aesthetically built and strongly constructed to withstand the test of time. S&S Fence contractors has a long history of working with governmental agencies on fencing projects at the city, state, and federal levels of government. We are very familiar with dealing with the intricacies of Governmental and Public Works fencing bids. Our governmental fencing contractor clients include the City of Sacramento, the City of San Jose, the City of Santa Rosa, the State of California, as well as agencies within the United States Federal government. S&S Fence contractors has also constructed a wide variety of fencing projects for a large number of school districts and universities located in the greater Sacramento area and throughout Northern California. 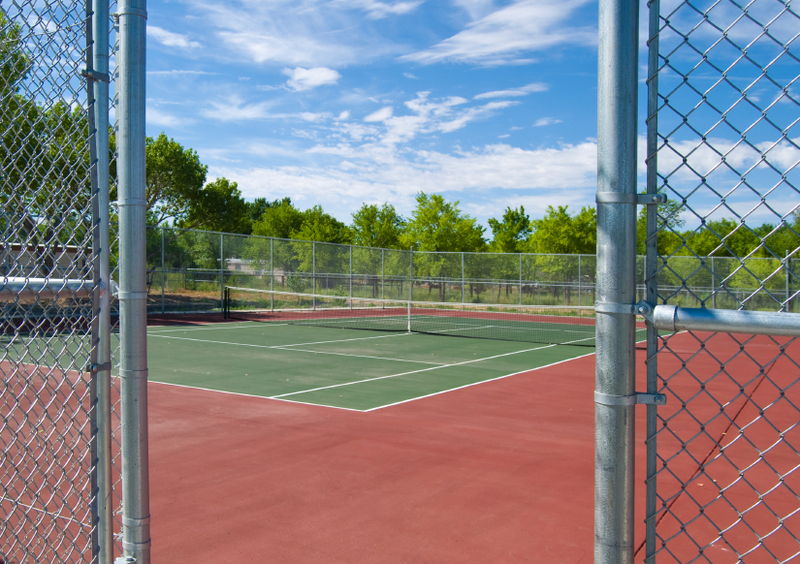 In addition to installing chain-link fencing, S&S Fence has been the primary fencing contractor on fencing projects such as the construction of batting cages, baseball diamonds, tennis courts, and track and field venues. Our clients have included the City of Sacramento School District, San Juan Unified School District, the City of Stockton School District, California State University, Sacramento, and the University of California Davis, among many, many others. Co-owner of S&S Fence Company Stephen Siewert is a veteran, and he was severely injured in Vietnam while serving his country as a member of the United States Navy. Over the years, S&S Fence Company has been a key player in a large variety of DVBE-related construction projects throughout California both as the primary contractor and also as a fencing subcontractor. Please contact us if you need a Disabled Veteran Business Enterprise (DVBE)/Service Disabled Veteran fencing contractor quote or bid. For Sacramento fencing contractors, general contractors, and other fence builders or fence installers who are involved in their own fencing projects, S&S Fence offers a wide variety of fencing materials and high-quality fencing products at competitive prices. Please contact us if you are interested in fencing materials such as chain-link fencing, ornamental iron fencing, razor wire, security fencing, or other types of fencing. At S&S Fence we are happy to give free estimates on any of your fencing needs. Please contact S&S Fence regarding any residential, commercial, governmental or public works fencing projects for which you would like a fencing contractor bid or fence quote. Our friendly team of estimators will be more than happy to discuss your fencing project with you and submit a bid at a fair and reasonable price. S&S Fence Company serves the fencing contractor Greater Sacramento Area including Folsom, Rocklin, Roseville, Rancho Cordova, Citrus Heights, Carmichael, Fair Oaks, North Highlands, Antelope, Orangevale, Elk Grove, Lodi, Galt, Stockton, Natomas, West Sacramento, Davis, Winters, Dixon, Woodland, and Vacaville. We will give estimates and fencing bids on commercial fencing, governmental fencing, public works fencing, and DVBE fencing jobs throughout Northern California, the San Francisco Bay Area, and greater California.. Please call us for details. Our clients include some of the biggest and best-known companies in the world. 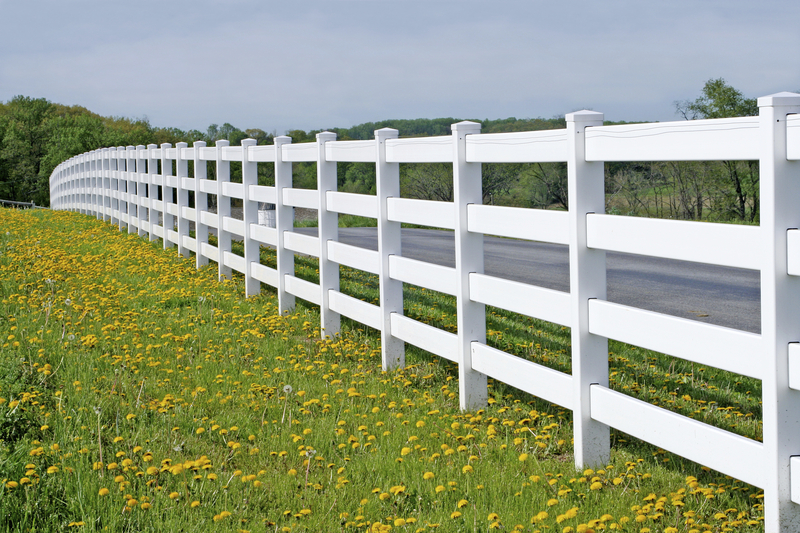 S&S Fence also specializes in governmental, educational and public works projects. 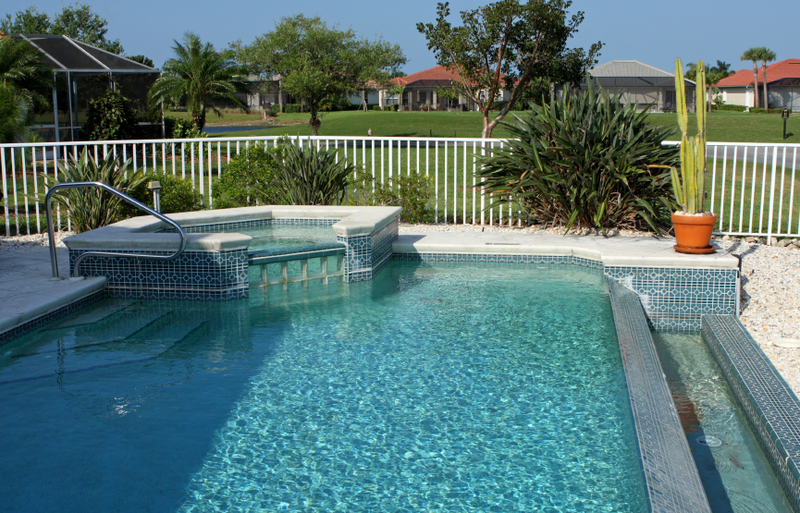 S & S also prides itself on being a "green" environmentally-friendly fence company. Expert Advice on Chain-Link Fences.